A Lost & Found story with a happy ending from the Chipolo CEO, Primoz Zelensek. I was waiting for a flight at the Ljubljana airport and decided to do some quick work on my laptop in the meantime. Sometime later, an announcement was made that the flight was delayed, so I went to grab a cup of coffee at the airport bar. Soon after, we got another announcement, saying the flight will be delayed even more, so I pulled out my laptop and started working again. And when the battery got low after a while, I set it up in a corner of the bar, near a socket and plugged it in to charge. When the announcement was made that we were finally boarding, I packed up my things and headed to the gate. The flight was ok, but I checked into my hotel in London late in the evening, because of the flight delays. And when I opened my bag in my room, my heart nearly stopped. My Mac wasn’t in there. Of course, the first thing I did was pull everything out, but no luck. I thought ‘Great, I left it on the plane.’ But then I remembered I didn’t use it on the plane at all. So I pulled out my phone and checked the Chipolo app. 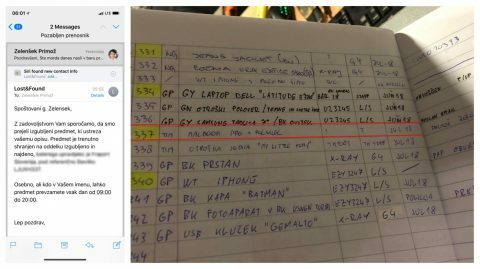 Sure enough, the last location it was showing for both my charger and the laptop was Ljubljana airport. I left it charging at the bar! 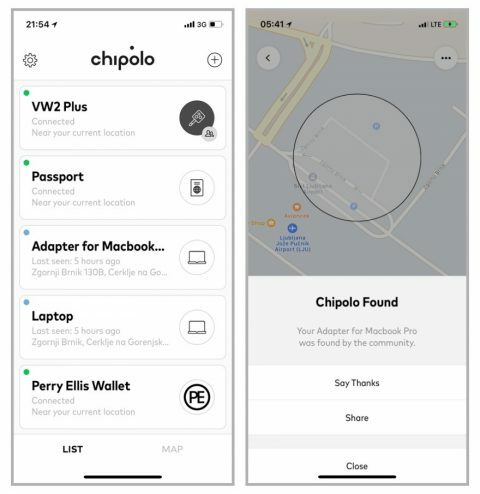 In the app, I immediately marked the Chipolos on my charger and my laptop as lost and emailed the airport to make sure it was still there. But because of the late hour, the airport was already closed, so there was nothing to do, but wait until morning. I really didn’t sleep well that night. But when I woke up in the morning, my phone was showing nothing but good news! Overnight, both my Chipolos were found by the Chipolo community, so I knew they were still at the airport, and I also got an email from the airport’s Lost & Found, saying they had it there and to come pick it up when I return. In the end, the whole situation turned out to be the perfect way to check the Chipolo features in real life!